You have made reservations for plane, hotel and olympic venues. Now, it's time to plan for where to eat and what to eat. When you think of Korean food, Kimchi, Bulgogi and some other hot and spicy food pops in your mind. Or some of you don't have clue what is Korean food. 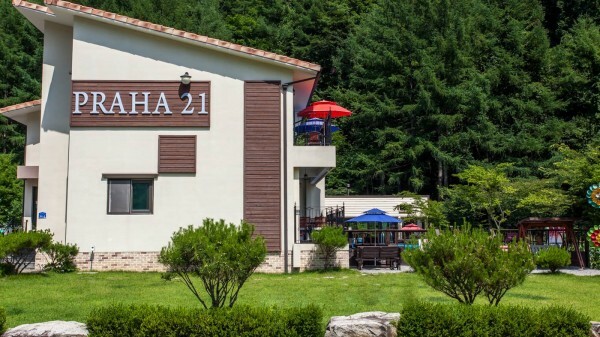 If you visit Pyeongchang, you will notice that there are so many buckwheat(Memil) and Korean beef(Hanu) restaurant. That is because, it's very famous and delicious. So you can't leave without tasting them. Bongpyeong is a small town in Pyeongchang. 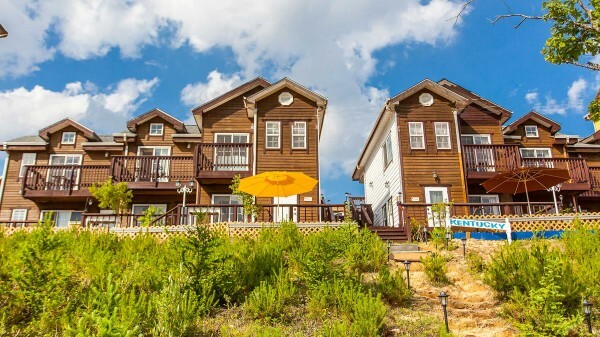 But many tourists visit the place in September during Lee Hyo-Seok Cultural Festival. 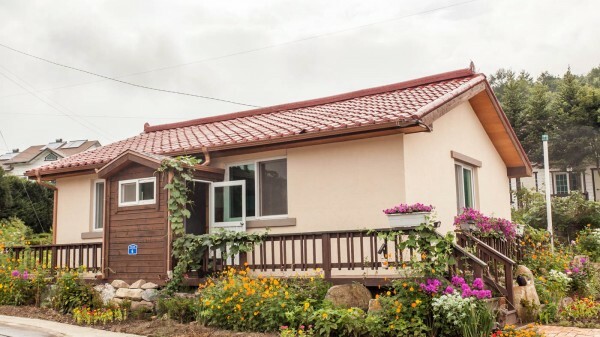 Author Lee Hyo-Seok is famous for writing his novel "when Buckwheat Flowers Bloom." 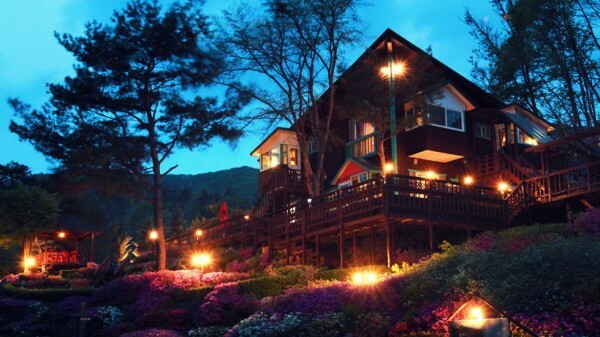 Since, Bongpyeong is known as the town of buckwheat. At the height of the blooming season, you can enjoy the beautiful scenery of the snowy-white fields of buckwheat flowers, Buckwheat, memil in Korean, comes in different varieties. There are two kinds of Memil-guksu. 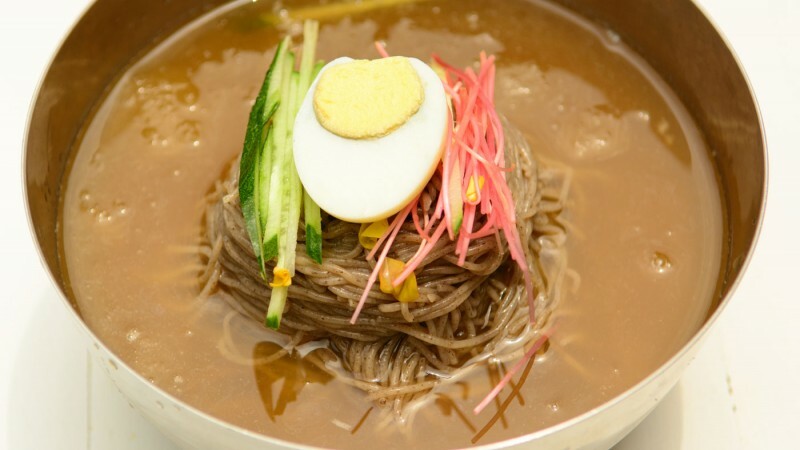 One is Memil-mul-guksu which is buckwheat noodle served in a chilled broth. 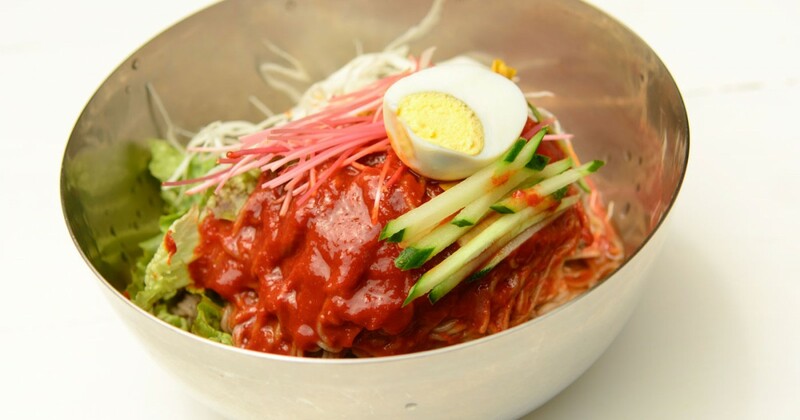 The other is mix of buckwheat noodle with vegetable and sauce. 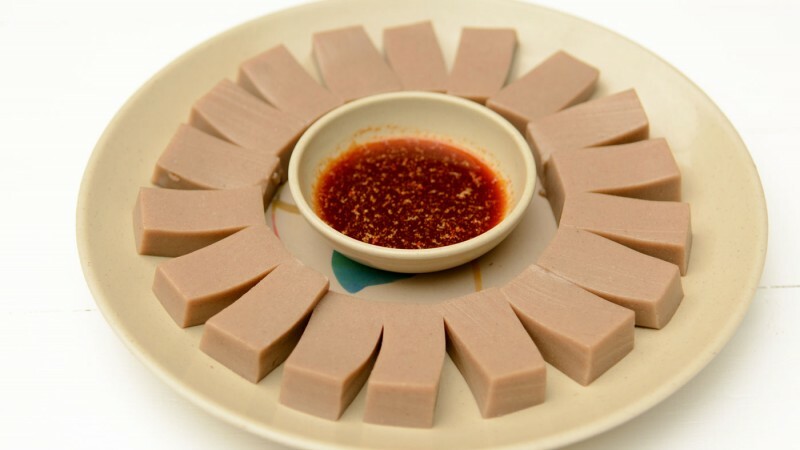 Memil-muk is a light gray-brown jelly made from buckwheat starch. It is served with soy sauce or seasoned vegetable. 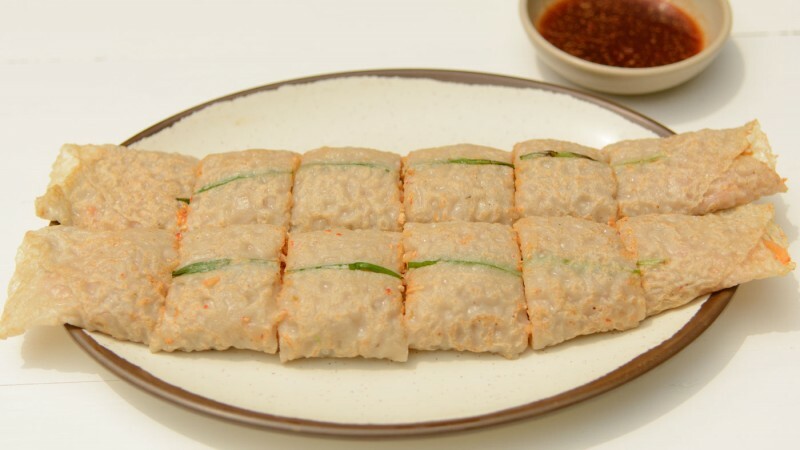 It is kind of buckwheat crepe stuffed with kimchi, tofu, pork and yam noodles. Hanu is Korean beef. 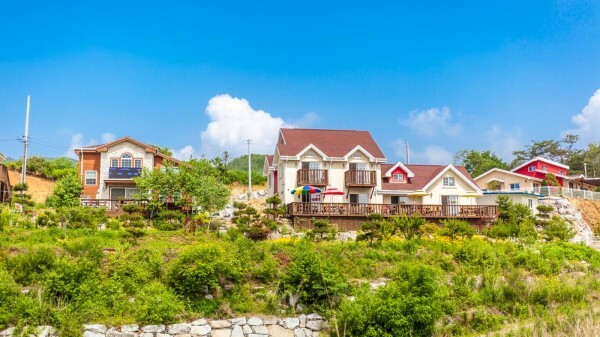 In Gangwondo, Hoengseong and Daegwanryeong is famous for hanu. Because the climate and the environment are said to be perfect for raising cattle. The price of hanu is not inexpensive. But if you visit Pyeongchang or Hoengseon, you can eat very good quality and reasonable priced hanu. Most restaurant cook hanu on the charcoal grill. It is built into the dining table itself. If you order hanu, the table will be filled with banchan, which refers to small dishes of food. 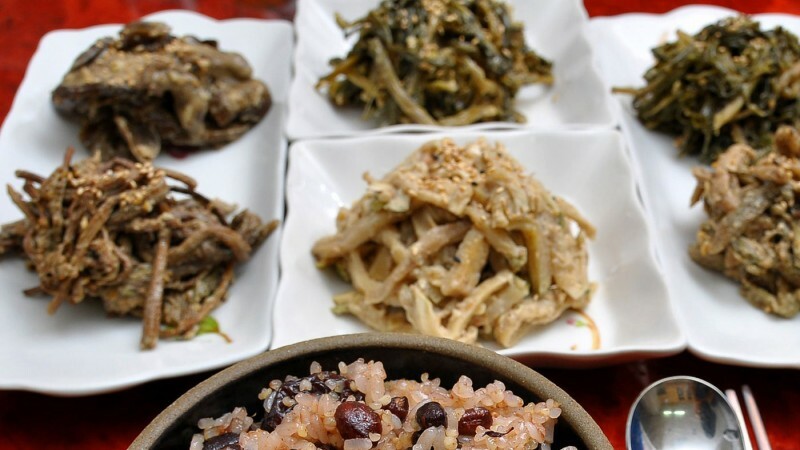 You can enjoy variety of Korean side dishes. is tender and smell of fresh meat is excenllent. 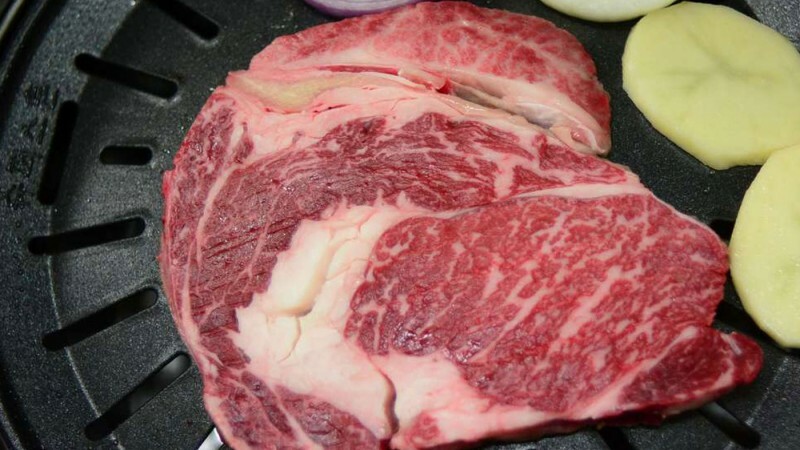 Marbling is spreaded evenly throughout red lean meat and has the best favor. is marinated with variety of sauce. 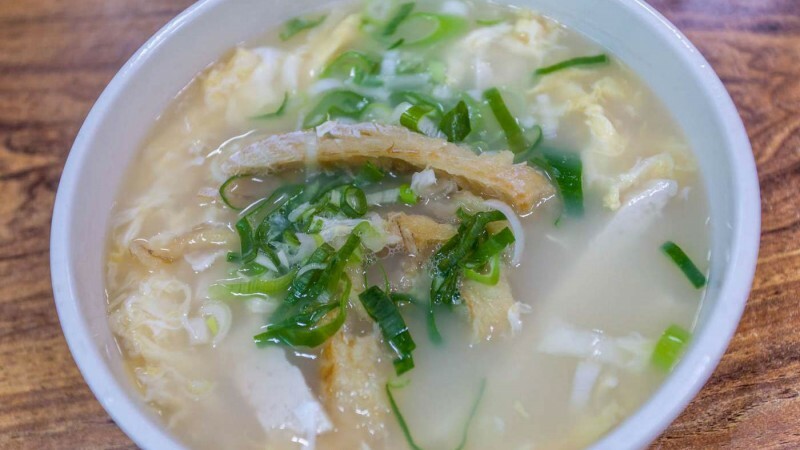 It is very tender, The savory of broth is great. 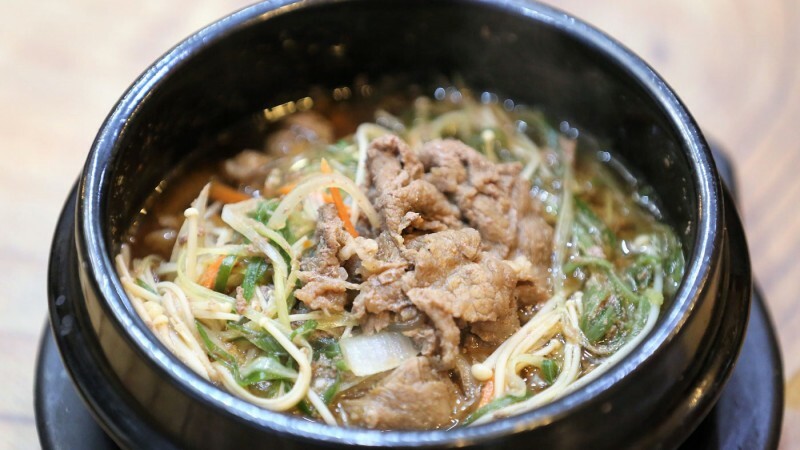 Soft texture of rump meat and savory sauce makes Yukhoe chewy and delicious. If you don't like meat, namul may be the food for you. Namul refers to variety of edible leaves or herbs or seasoned vegetables. Usually you first boli namul and season them with salt or soy sauce. 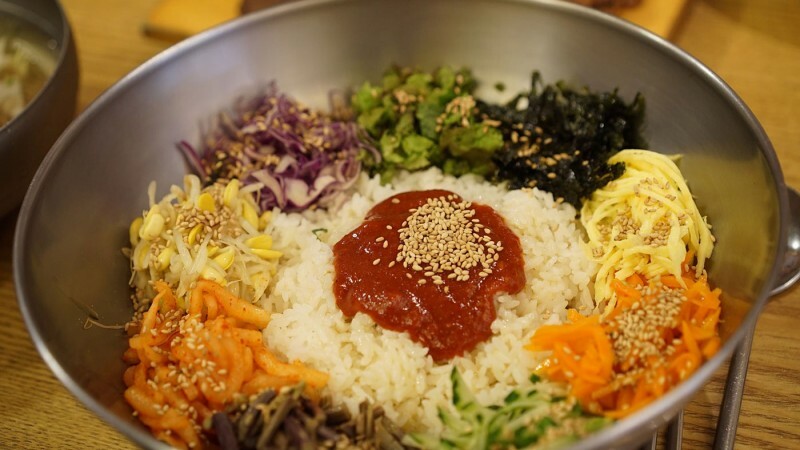 You can eat namul as a banchan(side dish) or mix with rice like bibimbap. Hwangtae is dried pollock. The pollack is the most commonly enjoyed fish for Koreans. 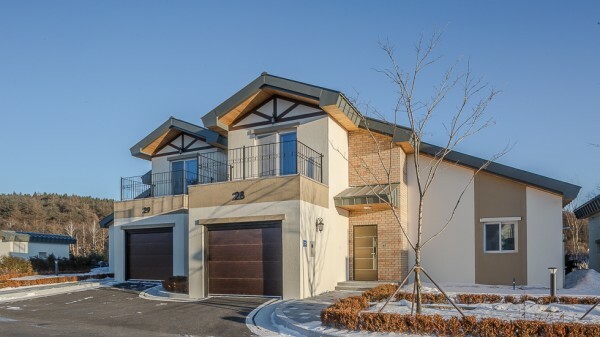 In the winter, It is naturally freeze-dried while hanging from wooden stands in the fields(deokjang). A soup made with dried pollock. 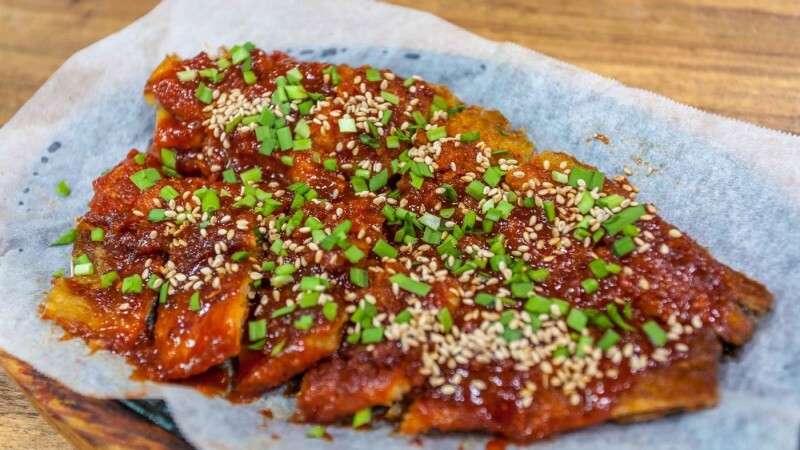 Dried pollack is grilled with a sweet and spicy sauce.